Watsco Inc (WSO): Are Hedge Funds Right About This Stock? 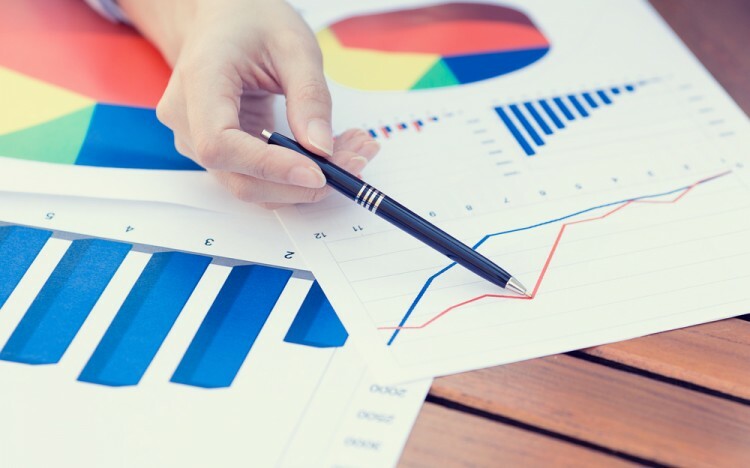 We can judge whether Watsco Inc (NYSE:WSO) is a good investment right now by following the lead of some of the best investors in the world and piggybacking their ideas. There’s no better way to get these firms’ immense resources and analytical capabilities working for us than to follow their lead into their best ideas. While not all of these picks will be winners, research shows that these picks historically outperformed the market when we factor in known risk factors. Is Watsco Inc (NYSE:WSO) a healthy stock for your portfolio? The smart money is getting less bullish. The number of long hedge fund investments shrunk by 2 recently. A total of 18 of the hedge funds in our system owned WSO shares at the end of September. 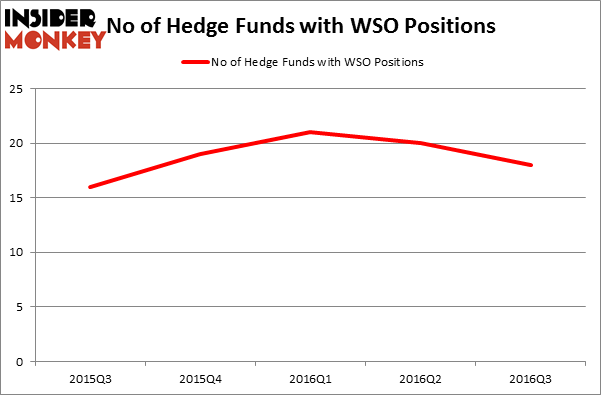 There were 20 hedge funds in our database with WSO positions at the end of the June quarter. At the end of this article we will also compare WSO to other stocks including Orbital ATK Inc (NYSE:OA), Weatherford International Ltd (NYSE:WFT), and First Solar, Inc. (NASDAQ:FSLR) to get a better sense of its popularity. How have hedgies been trading Watsco Inc (NYSE:WSO)? At the end of the third quarter, a total of 18 of the hedge funds tracked by Insider Monkey were long this stock, a drop of 10% from the previous quarter, as hedge fund sentiment begins to trend down. 19 hedge funds held shares or bullish call options in WSO heading into this year. So, let’s find out which hedge funds were among the top holders of the stock and which hedge funds were making big moves. When looking at the institutional investors followed by Insider Monkey, Israel Englander’s Millennium Management has the biggest position in Watsco Inc (NYSE:WSO), worth close to $50.2 million. On Millennium Management’s heels is Tom Gayner of Markel Gayner Asset Management, with a $25 million position. Remaining peers that are bullish encompass Greg Poole’s Echo Street Capital Management, Cliff Asness’ AQR Capital Management, and Jim Simons’ Renaissance Technologies. We should note that none of these hedge funds are among our list of the 100 best performing hedge funds which is based on the performance of their 13F long positions in non-microcap stocks. Should You Buy BJ’s Restaurants, Inc. (BJRI)? Has Hedge Fund Ownership in Welltower Inc. (HCN) Finally Bottomed Out? How Big Lots, Inc. (BIG) Stacks Up To Its Peers Biotech Movers: Heat Biologics Inc (HTBX) And Achaogen Inc (AKAO) Is WebMD Health Corp. (WBMD) A Good Stock To Buy? Infosys Ltd ADR (INFY): Are Hedge Funds Right About This Stock?